Singaporeans are a pragmatic bunch, and most take considerable pride in their no-nonsense approach to life in the rule-bound nation. But for the past few years citizens and opinion-formers have been gripped by an existential debate. ‘Who are we?’ and ‘What do we care about?’ and ‘where are we going?’ are the questions of the moment. The trigger came from Prime Minister Goh Chok Tong’s National Day speech in 2002, which criticised citizens who left the country when times were hard. More than a decade later, hordes of immigrants from across the globe. Were these the ‘quitters’ of their country? So why is the island state taking in quitters from elsewhere who left their country when times were hard? The former singaporeans who left are not rejoicing live compared to the stayers whose future is bleak. The recent events of the past few years have blown open the can on the state of affairs on the island state. they now? 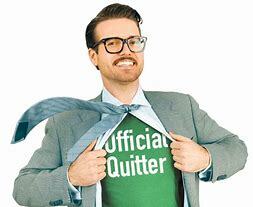 are they better off than quitters who left? You believe this old c*** talk? Just a senile ‘old c***’. Don’t waste precious energy and insults your own intelligence. Many of my friends who left for Australia are now very glad that they made the right choice. For next gen, even worst if they stay here, got chance better run. It shows how stupid is Woody who commented those who left are Quiters. And on the other hands, they took in overseas Quiters as citizens. This is how stupid is our PAPigs. But what keeps the world entertains (or scratching their heads) is how can citizens not realize how stupid PAPigs are? In the end, they conclude, stupids do not see how stupid PAPigs are. Should have quitted earlier but be late than never, the rest is history. Well, Lawrence Wong let the HDB cat out of the bag didn’t he? demonstrating that LKY, GCT, MBT, LHL have not been forthright and upfront to the “staying” sons and daughters of Singapore with respect to their “enhanced assets”. Now the ruling powers factor in market- price land costs into the pigeon cubicles marketing them as “dream homes” for raising the nation’s families. One could laugh it off if wages have not stagnated for the last 25 years, and turn to landed property instead. But the lowest median wages among developed countries vouchedsafe by non-existent minimum wage regulation, makes our sky-high HDB prices and soaring healthcare costs a constant anxiety and suffering for the common (middle class) Singaporean. “Goal chok Tiong”…managed to “fool” ALL ! “Goal Chok Tiong” , today, remains a RICH, RICH, very RICH man ! But where are you now ??? Sorry lah,…dafts will be dafts ! The author is stupid to bring up Woody’s self serving label of quiter. Learn to Never believe in anyone who lied about giving Swiss living standard and HdB asset enhancement. His own daughter quit and go marry ang moh tua kee in UK. This guy is senile and time for him to shut the fiack up. The woody’s title says he is Emeritus minister. Is he still a minister and still collecting big salary ? Y the media corpse still giving him full attention and propaganda on TV ? He promised us a Swiss standard of living in Sinkieland long time ago. What happen now ? He is enjoying $wiss $tandard of living instead of sinkies. Sigh !! Why not have best of both worlds. I keep my landed freehold property in Singapore for rental income, retain my Singapore Citizenship and have my permanent residency in US and Canada. Maintain your global mobility and enjoy what each country has to offer. May it be job opportunities, healthcare, vacation, retirement, open space/land, cheap big cars etc. Don’t be a quitter but don’t stick to one place (don’t put all eggs in one basket). Diversify. This totally ignores the difficulties (esp financial) many so called quitters face over time. And this only takes into account the kind of rosy and glorious stories quitters often tell in their first 2 years abroad. Believe this nonsense at your own risk. Then they say these foreigners are “talent” ??? Then they went on to “bring and accept ” all the “Fakes”,”Cheaters”..”PLPs”…etc. Like they say,…”Birds of same feather flocked together” ! Today’s Pappy is “NOT THE SAME” as yesteryears Pappy !! Don”t FALL into this “Generation of faked, twisted,greedy” Pappies !! “Kick them out” !…”Reject Pappy” ! GE is coming, the author is doing Singapore a great service to remind Sinkies don’t vote for hypocrite and stupid ELITES. Own daughter can be QUITTER, you guys cannot. Hypocrisy to the highest level. QUITTERS GOT FAR RICHER EXPOSURE & experience in pushing far wider frontier of learning cultivation and self-development.THIS HAS GREAT DURABLE VALUE FOR SURVIVAL IN A TURBULENT WORLD. SEDATED STAYERS hunkered inside PAPpys bunker of FAKE POLITICAL STABILITY pretending the world outside is calm beautiful serenity of visual enjoyment and entertainment of their fantasized utopia of whatever their hallucinations can bring forth. Silently and suddenly in recent times, the PAPpys INSIDE once fortified FAKE STABILITY bunkers invited in and welcomed invasions by hoards of lower quality cheaper pesky, hungrier foreign rats and mouses. They replaced the docile but aging sedated stayers too expensive to keep company and who rickety skeletal are not cheaper, faster, better and never going to be betterer and betterest anytime soon in the future. PAPpys in the fortified GRC-brand bunkers, of course, are unceasingly ambitious, you may puzzle if they think that wealth grows on foreign imported PAPAYA trees that somehow will grow to beyond clouds in the sky. And if they did of such height, natives can’t reach of harvest in great desperation of hunger pans. Greed is great surpassing reality, even thinking that $500K salary is just kachang-puteh (peanut). They even, perhaps, hallucinating that economy is a biology unlimited – you an even grow caterpillar into a size bigger than elephant. In meantime, the sedated stayers find overcrowding increasingly unbearable of congested space and food becomes too expensive sharing with mousey-rats fast multiplying in numbers – all hiding in the same fortified bunker. Sedated stayers got nowhere to go – they got no foreign exposure or experience – NO ENTERPRISE WANT THEM TOO except delivery transport and pirate taxi service. The stark reality is they found themselves as discards thrown into the rubbish bins MINUS the fake property asset (read liability) and fake retirement savings (CPF) to be combustion-treated together in Tuas incinerator. Sorry the PAPpys forgotten about you discards but thanks for the useful support for the journey ride till abandonment. AS RECENT AS 2015, 70% is this stupid – to stupid to even begin to discover they are stupid to impossibility. AND THEY SURELY DESERVES WHAT THEY GOT of cosy comfort slumber of sedated utopia of “stability-seeking” in never rocking the sampan ignoring that 4-metres waves is lashing onto them and had better put on their life-belts in case a passing ship might pick them up for survival of humanity sake. IT IS TRY EXTREMELY HARD TO SYMPATHIZE WITH THE DAFT 70%. There are still residual die-hard sedated stayers waiting to be cremated. My family members are all out – made the right choice to move out in the 1990′s when the unholy one made life really hell for locals. Many younger locals would not know how bad it was then. Now they all have really good jobs and valued in first world countries. Thank you to familee for forcing my family to move overseas and live like human beings again. He who sneered at other quitters is the father of quitters who have been enjoying life in the UK. But some people don’t know when to quit. HOW LONG HAVE YOU SURVIVED in a foreign culture (if you ever ventured out) to know the difference? Not the Full Picture: This is nonsense. SEDATED STAYERS – as someone puts it succinctly of apt descript of these (of what I calls frequently caterpillar mentality) – are like frozen egg, never incubated and developed into a baby to grow into an adult. When the world outside changes – even if the egg got fertilized – these “caterpillars” are clueless AND OBLIVIOUS of happenings around, EXCEPT just follow the lead (even if dumbest) caterpillar blindly, foraging the leaves for food. That will be depleted soon and provides no camouflaged protection cover. Soon a passing foreign bird fly past and have all the caterpillars on the branch for juicy breakfast, lunch or dinner. ANY SOCIETY THAT DOES NOT CHALLENGED FROM WITHIN, WILL BE CHALLENGED FROM WITHOUT and come the crisis, they are easy prey for foreigners. The natives have no experiences in dealing with uncertainties, threats and survival skills- LEE-jiapore is EXACTLY THAT. THAT IS WHY WE ARE IN ROTTEN MESS NOW and the scholastic leadership ALL CLUELESS trapped in same autocratic mindset of even harsher oppression within AND SELF-DESTRUCT. YOUR BEAUTIFUL PICTURE IS FANTASY AND BLIND UTOPIA. The world outside is NEVER STABLE and always challenging, and only the adaptive will survive. Sedation only keeps stayers “feel safe” for a moment of FALSE SECURITY. long ago my cousin had the chance to migrate but he did not: Now end up unemployed…i recall him telling me cos swiss goh said we must stay put..
what a fool he is.. This is the sort of argument you like to use. I have been out of Singapore. And I know a whole lot who are out, and others who had been out. Friends and relations. And to many corners. It doesn’t bother me if you disagree. I have no interest in getting into a debate with you. Every new frontier got its varied challenges and enriched learning experiences. If your known circle – be that friends or relations – are all bump failings in foreign frontiers, there can only be two possible/probable explanations. Either genetic mutations or or mutation of survival instinct after prolonged imprisonment of sedated environment. If you been Down Under, this is an inescapable landscape change – for the PRCs – many came in the late 80s and early 90s with not much more than a shirt on their backs and some personal hygiene items, little cash, lived in shared crowded accommodation. A few years later, every suburban retail shop, butchers, newsagent, green grocers closed by native, the re-opening will be occupied by PRCs AND THEY PROSPERED DESPITE LANGUAGE HANDICAPS. They followed the Vietnamese generation before than post the Vietnam War, mostly arriving as refugees. In the small mining industry, the Streeters, Harmanis etc etc came in worked from bottom and invested before venturing out in unfamiliar terrains of geology. They don’t make millions but hundred of millions. HOW COME NO SINKIES MAKE GOOD in mining sector? Of the top 200 richest Down Under, more than half were foreign born? There got to be explanation – the capacity to explore new frontier and walk unfamiliar terrain and that is the true nature of quitters at their best. Australia, not Malaysia, is my first foreign destination of travel and I have certainly walked the grounds in remote locations, so remote from civilisation which I am certain no Sinkies will step on for another 200 years? Do I regret my experiences, sometimes daunting and fearful even knowingly dangerous environment (one mistake of s*ake bite, it is the end within minutes and no escape to help) which I definitely won’t do now? I don’t think so. BTW, IT IS AN OPEN SECRET that Chinese junior ministers in commerce and industry often accompany their national sovereign wealth fund’s fund managers and analysts into the deep remote isolated jungles in Latin America and Africa BEFORE THEIR SOVEREIGN WEALTH FUND bought those foreign-owned mines. That means sometime they have to trek through unfamiliar rough terrain, sleeps in camping tents – disregarding material comfort, life risks from snakes and wild animals and falls from slope decent to bottom of the open pit (in abandoned mines) and even in Africa traveling through tribal war-torn zones. How much are they paid? Any of our political natural aristocrat is capable to these achievement and performance standards before we bought into natural resources sector at the peak of the last commodities super cycle? Nearly all our SWF forays into the natural resources sector got burnt! If you want to compete with the world – GET OUT INTO THE WORLD and have the taste for the real thing is my argument. There is no substitute for the sissy SEDATED STAYERS living coccoon life imprisoned within comfort zone of air-conditioning and moving about in luxury cars and first class air flights and hotel accommodation on business/official trips. And here is a weblink on the Kerry Harmanis and Terry Streeter’s hands-on life experience and success in the mining industry. Harmanis was a lawyer, turned fish monger and into mining. Terry Streeter starts off as a vegetable hand to become a fruit and vegetables wholesaler investing in mining enterprise and founded Western Areas. In final exit from mining ventures, they made hundreds of millions. My mates Down Under bought HUGE into Fox Resources when it was nearly bankrupt, in financial accounting measure, at 30c and within 1 year, it shot up to A$1.80 after Terry Street pumped into A$4 million to keep it afloat. This was after the Chinese signed an off-take agreement to take all and whatever nickel concentrate Fox Resources can deliver of production. Can the kiasu, Kiasi, Kiachenhu, kiabor of SEDATED STAYERS looking for Swiss Standards of Living fantasy make the grade? For those who want to live at a basic level with a higher minimum standard than Singapore, at increasing level of austerity with each passing year as one ages, the West still affords some that option. But the West is not a place for Asians with ambition. For Asians with ambition, if one cannot make it on home ground, one certainly cannot do any better in the West. That is the general rule of thumb. It is a different scenario for those who would settle for a simpler life. The same effort certainly gets one slightly better rewards in the West. But only marginally, and not a whole lot more. Terry is what OZ calls “POMIE” (English) migrant. Kerry is Greek background. They didn’t work hard as they ages, THEY INVEST SMART & WIN BIG.Their early economic backgrounds were varied – always in search of new frontier. Sissy sedated stayers don’t make the cut whereever they go. Gene mutation and mutation of sedated political culture of caterpillar-like existence and nurturance. Thanks to many one-sided stories, and accounts from misinformed people, many seem to have the misguided belief that going overseas is a sure ticket to success. They often spend a number of lost years in the West wondering why it isn’t as rosy as others make it out to be. If one is at say the 45% or 65% percentile in terms of abilities, one doesn’t move that far up or down when they migrate to another developed nation. And if that is the case, the outcome would not be all that different from if the individual had stayed on in Singapore. It would be a different story if the migration is to a lesser developed region. It is not in dispute that there are success stories here and there. But if you look closely, these were able people in the first place, and who were often doing well in their countries of origin. There are so many middle aged Singaporeans who migrated in the 1990s. Fast forward 20 years and their children are headed back to the East for the job opportunities, while their parents live simple and quiet lives in the West. You are damn wrong. If you are in right country in the west like USA, well sky is the limit for immigrants from anywhere in the world. In fact with all the wall talks US economy is boom boom boom under P Trump and every immigrant who works hard enjoy their life beyond comparable to Singapore standard. That’s the reason even Mr Lee’s grandson is a quitter. You have the work you want to do, you have the freedom you want to say and you have the freedom to vote whoever you want, you have the house you dream to have, you have the car you can easily afford but can’t even think of in Singapore. Your kids go to best schools and universities in the world and study with best of the crops around the world. You can have the best of hospitals and treatment facilities in the world when one needs albeit expensive healthcare insurance cost.Your families have multiple holidays in and out of countries. You have the football(NFL) team you cheer for. Most importantly you have a country you can call home and be proud of. There is absolutely zero regret being quitter. UNFORTUNATELY, YOURS IS A MISGUIDED AND MISLEADING PICTURE. Your base reference is Singapore vis-a-vis staying put or venture out. So your crap publishing is fake news. Not the Full Picture: There are so many middle aged Singaporeans who migrated in the 1990s. Fast forward 20 years and their children are headed back to the East for the job opportunities, while their parents live simple and quiet lives in the West. Here is the easy rebuttal. Rich PRCs send their kids to the best universities in USA, UK, Canada and Australia, not Singapore. Those who migrated in the 90s are retired by now (at retirement age of 55 to 60), they have no need to chase the economic rainbow, settled into cosy comfort of nice quiet twilight zones. Their kids are DIFFERENT AND SIMILAR TO THEM. Like their own parents, they chased the rainbow where they find – CHINA-LED BOOM in Asia where there could be rich harvests to be had – just like their parents. They won’t hesitate to travel and work anywhere from EU to Japan AND NOTABLY CHINA AND HONG KONG. Bloomberg report told of the INCREDIBLY SHRINKING SINGAPORE STOCK MARKET – an irrefutable evidence of SINKING AND SHRINKING enterprise in this country. Who are those “quitters” kids rushing back to Singapore in an economy DYING SPOT? I haven’t discover. SIZE AND FREEDOM CREATES SPACE, DIVERSITY AND OPPORTUNITY, the best will always be the quitters of who dares win, NOT THE SEDATED CALMING STUPIDITY OF STAYERS. I told you in a small industry segment in OZ – lawyer turned fish monger into mining enterpreneur and vegetable hand into green grocer wholesaler and finally mining enterpreneurs and BOTH MADE HUNDREDS OF MILLIONS in retirement. Do they needs to rush to new rainbows in China or Hong Kong? @ A proud quitter is EXACTLY RIGHT ON THE DOT. Without quitting, how do you find the time, stay long enough, to discover opportunity? Even PRC’s graduates from top foreign universities either stays there or RETURN TO BOOMING (until recently) CHINA, not coming the the DEAD ZONE called in China as LEE-jiapore. Caterpillars will always be caterpillars – they can’t leave the comfort zone to find challenges and prosper. THIS IS REALITY amply demonstrated in this thread. Gene mutation is real and SEDATED GENE MUTATION is its offshoot of real SUNK sinkies. GREAT POST – understand the mindset of a “quitter” is and necessarily must be ENTIRELY DIFFERENT from a SEDATED SISSY STAYER. They simply don’t compare! One of my Malaysian friend I met Down Under did this – he FLEW to Acheh, Sumatra, rent a 4-wheel drive DECADES AGO as a young man – searching for proverbial space and discovering his destiny. As a non-Bumiputra, he could not get a job in Malaysia, so try Indonesia, where money is smaller in value and cheaper to survive on, he thought if he finds root there. He drove all the way from Acheh down the entire length of Sumatra and back – alone – sleeping in vehicle and sh*tting by the roadside. He did NOT discover anything of significance except a construction site owned and managed by Jurong Engineering (which was a listed Singapore entity then). He came down to Singapore and applied for a job and got it. Next destination, he got an assignment to go to Iraq with same entity – well paid in a war torn zone. Made good money there. How many SEDATED SISSY SINKIES can do this? His economic space LONG BEFORE GLOBALISATION TAKES SHAPE is the world – backward and war-torn zone disregarding. When in China, I stayed in a comfortable condo near Zhongsan Garden in Shanghai, a luxury upmarket condo in Tianhe (Quanzhou) just like Orchard Road in LEE-jiapore and also ventured into poverty-stricken countryside near Meizhou where I saw an accommodation qtr with shattered roof (a former pig sty) with a cooking pot nearby – the owner was an old man showering in a fish-pond nearby. This is life experiences NO SEDATED SISSY MILLENNIAL SINKIES will get to see of real life poverty in booming China. Never attended a single lecture in high school or college in my life but bought mining investments with operations as diverse as Greenland, Papua New Guinia, Laos, Indonesia, Philippines, Africa, South America, and of course Down Under – for the last 4 decades. Quitters always tests new frontier of exploration – some efforts worked barely, some failed hirribly and some find sparkling success. YOU NEED TO JUST DISCOVER ONE SUCCESS and stays that course. IF YOU DON’T TRY, HOW DO YOU KNOW WHAT IS ON THE HORIZON? SEDATED SISSY STAYERS only know one formula – it seems – speculate/gamble-on-property-vote-PAPpy risking HUGE UNAFFORDABLE MORTGAGE without their CPF. Most will get burnt in public housing bet and some buried or some to be buried in the private property market – SOONER THAN THEY EVER IMAGINED. There is no need to denounce my views as crap, nor fake news. As much as you are entitled to your views, I am also entitled to mine. I may disagree but would not engage in vitriol. Your views on this are adequately documented in many posts. What you posted is not representative of the trials and tribulations of many Singaporeans who left 2 to 3 decades ago. In public you will read and hear most of the nice stories, to the exclusion of others. But I will leave it at this. like any pian chiak pian chiak advanced countries where ‘smart’ people try to game the system, once the juice is squeezed dry from the rock (saturated growth with high cost), the growth potential thereon is limited except for a some few darling sector / companies until competition catches up. with so many people to support (like our 6.9m open-leg policy) and stagnant pay except for the top cream (most doing much rent-seeking & exploiting ? ), many young people got to leave their home countries to seek opportunities in places which are still developing (a lot of room for growth) and are open to new incomers. as for their parents, the easy low hanging fruits have been plucked clean already and therefore the parents can live simple and quite live lor. this generally (generally lar) does not apply to northern european countries though highly taxed are more distributive in their country’s sovereign wealth management where abuse of the system is minimal (aiyoh not totally no abuse lar) – perhaps greater trust among one another where their societies are more homogeneous. else why would anyone venture outside into the more risky unknown / unfamiliar country / environment if he is already comfortable (doing well as in making it) within the known inside (human nature lar). and what do you mean by ‘cannot make it on home ground’ ? being unemployed ? drawing >60k, 100k, 500k or 2million per year ? like 151th media standard where 4 can be 5 and ‘selected’ can be ‘elected’ – such wonderful and flexible way of live. MATE, NO HARD FEELINGS, it is only a debating floor of occasional disagreeing minds. No malice of vitriol was intended – the attack is on expressed thoughts which me thought is illogical of circular reasoning, not the writer which is just another moniker. Not the Full Picture: There is no need to denounce my views as crap, nor fake news. As much as you are entitled to your views, I am also entitled to mine. I may disagree but would not engage in vitriol. If I did come across as overzealous, I apologizes. Have a nice day, @ not the full picture. PAPpys ALWAYS CREATE FANTASIZED ILLUSIONS and pretending them to be virtuous anchors of their (fake) smart creation. 4 can be 5: like 151th media standard where 4 can be 5 and ‘selected’ can be ‘elected’ – such wonderful and flexible way of live. When turbulence exposes their utter incompetence, they will, invariably and inevitable terrorize peasants with a sea of fear engulfing if we vote for Oppies in displace of them – just like Aljunied GRC in 2011. PAPpys are weak, incompetent and can’t handle competition. So to stifle challenge they resort to all kinds of oppression. Old game.